Tonight on our CTV Windsor segment with Arms Bumanlag, we decided to showcase a young individual who is doing good for her community. Remy has been putting together recipes using the foods that a family might get from the Mission. Her cookbooks will be placed in the food baskets at the Downtown Mission to help people make tastier meals with the foods that are given. She will also sell the cookbooks and donate all the proceeds to the Downtown Mission. The cookbook can be purchased by visiting the Alliwonga Foundation on Facebook. 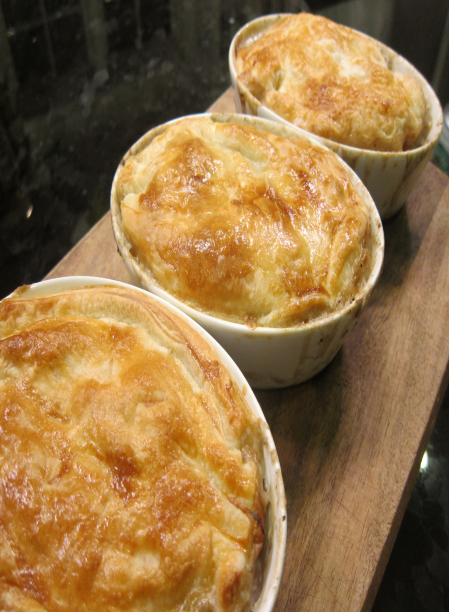 If using pie crust of puff pastry, take out of freezer and leave at room temperature for at least one hour. Mix all the canned ingredients together. Pie crust – gently remove it from the tin plate and place the pie crust on top of the meat mixture (don’t worry if it breaks or doesn’t fit exactly, it won’t make a difference when it cooks). Puff pastry – unroll it and place it on top of the pie mixture and trim the edges. Crackers – crush the crackers and sprinkle on top of pie mixture. If using pie crust or puff pastry dough, take a knife and cut 5 slits in the middle of the pie to allow steam to escape. Beat an egg and brush it on the pie crust or puff pastry crust. If you do not have an egg, milk will also work. Bake at 400 degrees until the pie is golden brown (about 35-40 minutes).